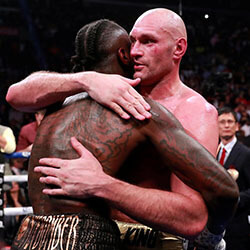 In his first bout of significant fighting since he upset his way to the heavyweight championship in 2015, Tyson Fury has survived two knockdowns, including one in Round 12, and appeared to outclass WBC champion Deontay Wilder before they settled for a split draw at the Staples Center in Los Angeles, and in front of almost 18000 audience members. It was the first heavyweight title pay-per-view fight in America since 2002, and saw both fighters combine for a classic that was dripping with tension. One of the judges had it wide at 114-111 for Wilder, while a second judge had it 114-112 for Fury. The final scorecard read 113-113. The fight played out in the favour of each fighter’s strengths at Fury controlled by boxing with feints and awkward angles, while Wilder (40-0-1, 39 KOs) picked his sports more carefully, and managed to land heavy counter-shots that threatened to end the fight quickly. 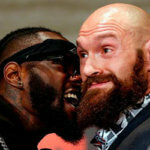 But 40-year-old Fury somehow managed to hold out despite having come back to the ring after a three-year absence that saw him fighting serious mental health issues, as well as substance abuse. Fury (27-0-1, 19 KOs) retained his speed, and was daring as ever in the face of Boxing’s most dangerous puncher as he taunted Wilder throughout the fight. 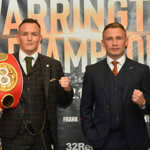 He also won the hearts of the audience after he got up for a two-punch knockdown in Round 12 that would have finished almost all other fighters.